Hey, boring can be good business. Just because a particular vehicle sells in particularly high numbers does not necessarily mean it’s exciting. Quite the opposite, in fact. Most people buy a certain car because it meets their particular needs. Everything from price and safety features are considered. But again, this is the practical, every man/woman car buyer, not the supercar collector. Therefore some of the best-selling cars sold in the US last year were not exactly exciting. You could even call them boring, but there’s no questioning their massive popularity. When the third and launched in 2013, most were pleasantly surprised by how much of a styling departure it was from its immediate predecessor. The Escape suddenly became fashionable, but the novelty has already worn off. Today, the Escape, despite a mid-life refresh for 2017, looks about the same as it did nearly five years ago, perfectly blending itself into mall parking lots across America. 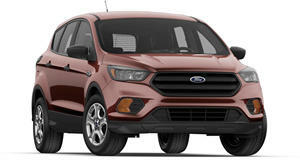 Okay, so it’s not as stylish as it once was, but Ford is still selling them in droves. Last year, a total of 308,296 Escapes were sold, a 0.4 percent increase from 2016. Hey, it's hard to argue with a successful and winning crossover formula. If you’re looking for basic transportation that’s not a crossover, the ticks most boxes. Launched for 2016, the current sixth-gen model has become one of the Korean automaker’s best-sellers in the US. 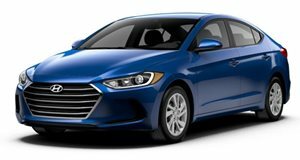 Compared to its immediate predecessor, the latest Elantra’s styling is a tad conservative. Same goes for the interior. But it still does everything well and offers incredible value for a compact sedan. If you prefer greater cargo space, there's also the Elantra GT hatchback. The Elantra is definitely not exciting but, wow, it’s popular. Despite sales dropping by 4.9% from 2016 (blame crossovers for that), in 2017 a total of 198,210 units were sold. 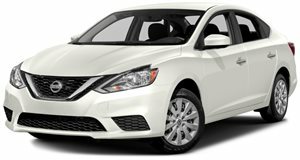 The Nissan Sentra has a loyal following who typically don’t care much about cars.These buyers are seeking basic and reliable transportation and nothing more. The current generation went on sale for 2013 and thanks to a 2016 refresh, has a slightly bolder appearance. But let’s not get too carried away; the Sentra is still anything from exciting. Okay, there are the SR Turbo and variants, but neither one has that “wow” factor. Despite its overall boring resume, specifically in lower trims, the Sentra is hanging in there just fine. A total of 218,451 examples moved off dealership lots last year, representing a 1.7 percent increase from 2016. You knew this one was coming. Like it or not, the Corolla is one of the most successful compact sedans ever. But unlike its arch nemesis, the Honda Civic, it has remained rather dull. Why? Because dull works in this case. Like the Nissan Sentra, the Corolla is good basic transportation buyers can trust. End of story. We’ll give Toyota credit for making an attempt to give the latest generation (the 11th!) a touch of exterior attitude, but it’s still far from exciting. Yet the Corolla remains a sales success story. 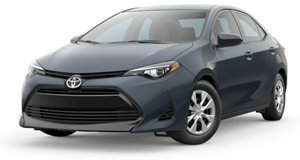 A total of 308,695 Corollas were sold in 2017, which represents a 14.4 percent decrease from 2016. Again, the likely culprit is crossovers. Fans of true body-on-frame SUVs won't be fans of the , but 215,775 buyers from 2017 certainly are. That figure represents an impressive 12.74 percent sales increase from 2016 and based on the continued popularity of crossovers, especially mid-size ones, we expect even more Highlanders will move off Toyota lots in 2018. 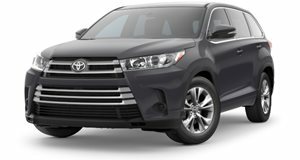 Currently in its third generation that first went on sale for 2014, the Highlander benefited from an update last year including styling revisions, an updated V6 engine and a new eight-speed automatic. But what the Highlander really has going for it is an optional third row of seats, something American families love.